Executive Order 9066, issued by President Franklin Roosevelt in 1942, does not mention any ethnic group. 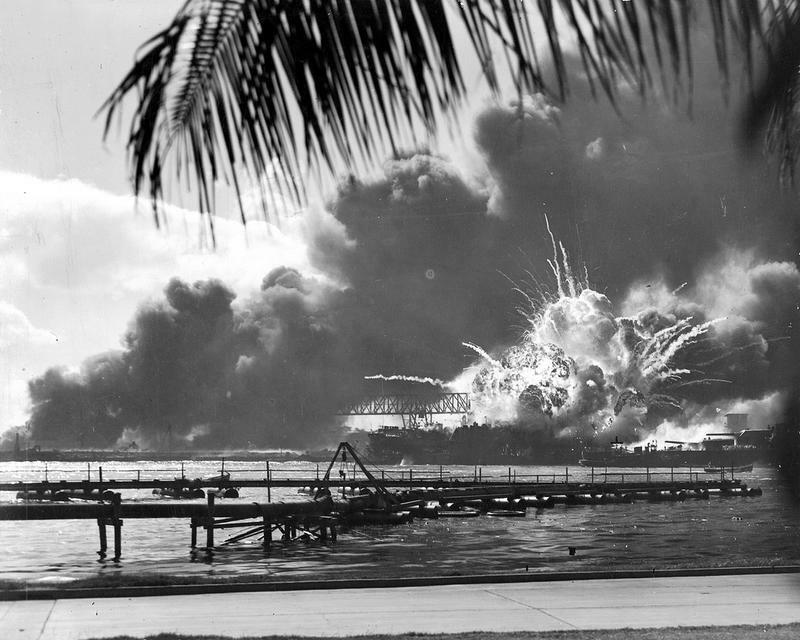 It simply allows the "Secretary of War, and the Military Commanders whom he may from time to time designate," to "prescribe military areas" from which "any or all persons may be excluded." 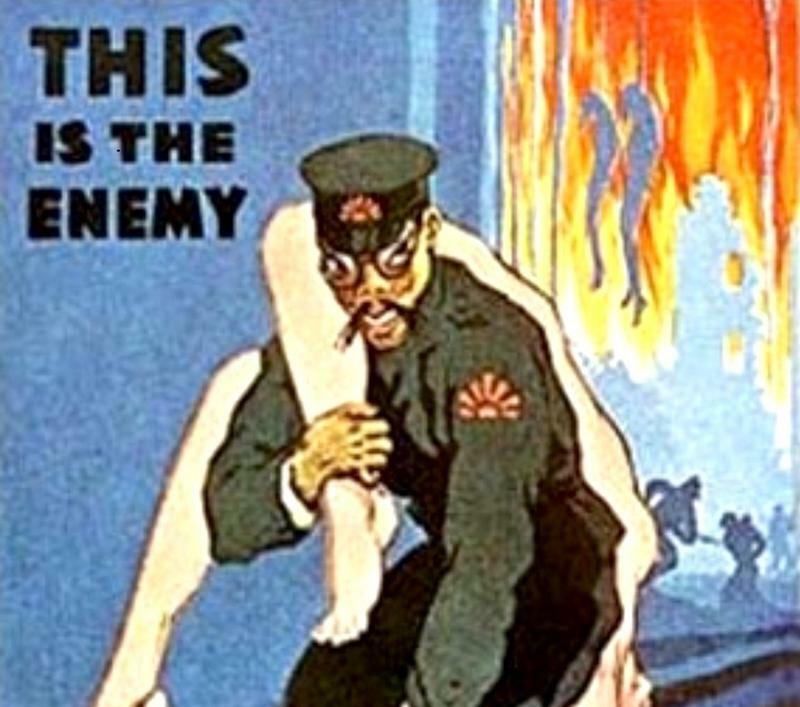 This resulted in the mass removal and incarceration of 120,000 ethnic Japanese, mostly U.S. citizens. 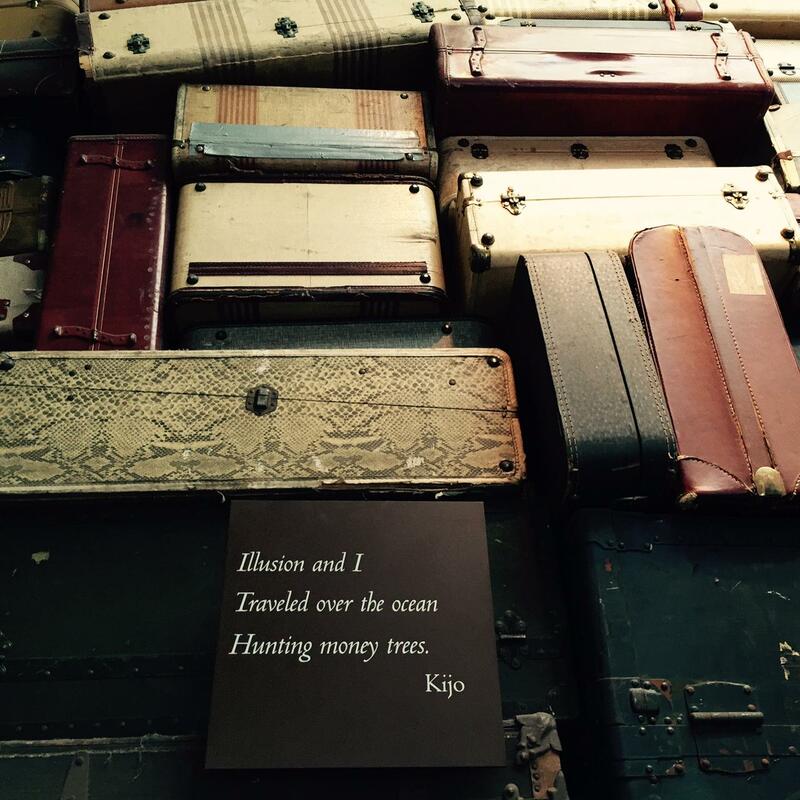 This photo was taken in the Japanese American National Museum in Los Angeles. The fascinating story of a pursuit for justice that remains unresolved, and still influential. Fred Korematsu was 23 and living with his family in the San Francisco East Bay area when he decided not to comply with government orders to surrender for incarceration. His family left for the camps, and eventually he was picked up on a street corner and sent to join them. An American citizen, he felt his constitutional rights were being denied, and took his case to the Supreme Court, which upheld his conviction. In 1983, his conviction was overturned due to government suppression of evidence. Fred Korematsu’s family ran a florist in San Francisco’s East Bay. He was twenty three when all ethnic Japanese were ordered to report for incarceration. 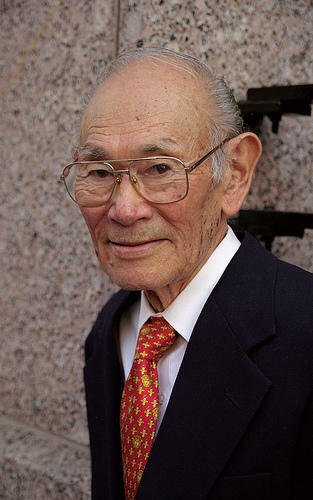 His family left their home, business and belongings, but Korematsu, a U.S. citizen, refused. His daughter, Karen Korematsu says he changed his name, and went underground, but was finally picked off the street in San Leandro. This is the sort of thing millions of immigrants in America fear today. In 1942, Fred Korematsu maintained his arrest was a violation of civil liberties and took his case to the Supreme Court, which upheld his conviction on grounds of national security. Writing for the minority in that decision, Justice Robert Jackson called the court’s unexamined acceptance of the claim of national security a “loaded weapon,” a potential threat to civil liberties into the future. Jaime Tokioka is in UH Law School’s Scholar-Advocate program, working on social justice issues. Note that EO 9066 does not mention any ethnic group by name. Read the full Executive Order 9066. In 1983, Fred Korematsu’s conviction for failing to report for incarceration was reopened because of new evidence showing the government had withheld evidence that Japanese Americans were not a security risk. Korematsu’s conviction was reversed, but the original Supreme Court ruling upholding the internment stands. On February 3, 2014, during a discussion with law students at the UH Richardson School of Law, Justice Antonin Scalia said that "the Supreme Court's Korematsu decision upholding the internment of Japanese Americans was wrong, but it could happen again in war time." Richardson School of Law professor, Eric Yamamoto: “Justice Scalia intimated that it would be terrible, but the courts could. What he was really saying is, the Supreme Court never formally overruled Korematsu." One approach the courts could take is called “judicial deference,” where the courts keep hands off government actions in the name of national security. 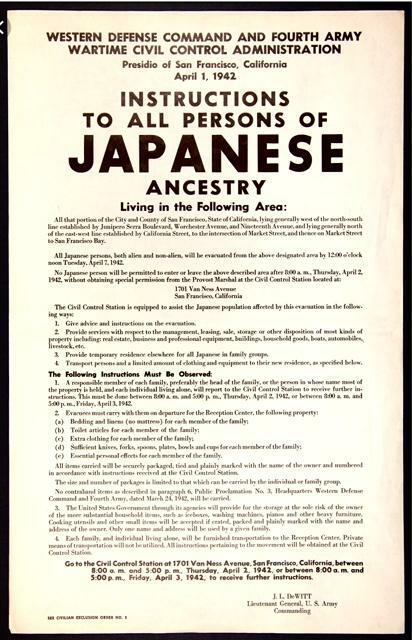 These instructions were issued in 1942 based on Executive Order 9066. “The other approach is in a situation where fundamental liberties of people in America are being severely restricted, normally the government can’t do that. But the government is saying we can do that because national security trumps constitutional rights. The government has said in the most recent Ninth Circuit argument, Guess what courts, you stay out of it, you don’t have any power to review. But the judges are now saying, Yes we do." But can the government say, We’re in a rush. With both sides citing Korematsu. If the U.S. government told you to give up your home, your job, your life as you know it, and surrender for mass incarceration today, would you do it? “We can overturn the bad parts of Korematsu, and uplift the part of Korematsu which says we can correct our mistakes. 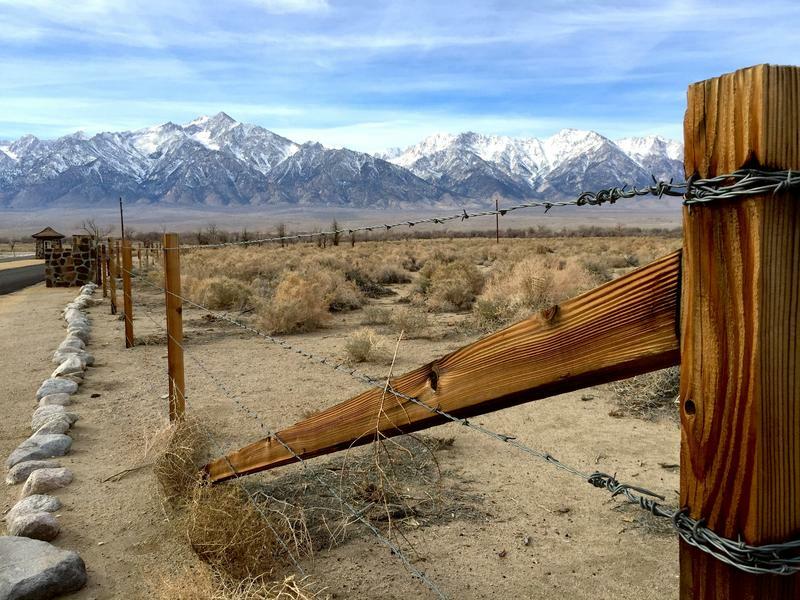 The coram nobis litigation of the 1980’s is the part of Korematsu that is really good, and we can say even when the courts make horrendous errors, if American citizens and all people in America stand up for what is right, we can reopen these cases and make the courts do what is just. That has repercussions all across America and across the world. How do you get that done? How can the Supreme Court go back to it again? Websites documenting hate incidents include screen shots of online harassment. Korematsu’s conviction reversal, the presidential apology and redress to Japanese Americans--Yamamoto has cited this process as a model for reconciliation in work with South Africa, South Korea, Japan, Chile, and other jurisdictions. He says how these issues are finally resolved has broad implications for how societal healing can take place after institutional injustice. In related news, after years of declines, hate crimes against Asians and Pacific Islanders are rising exponentially in the U.S. A Los Angeles commission documents hate crimes against Asian Americans tripled between 2014-2015. Recently, Asian Americans Advancing Justice, a civil and human rights nonprofit, launched a website, standagainsthatred.org, to document hate crimes against Asian-Americans and Pacific Islanders. The stories are vetted by AAJC staff. Find a national registry of all hate crimes through Propublica or the Southern Poverty Law Center has a hate map showing 917 hate groups in the U.S.